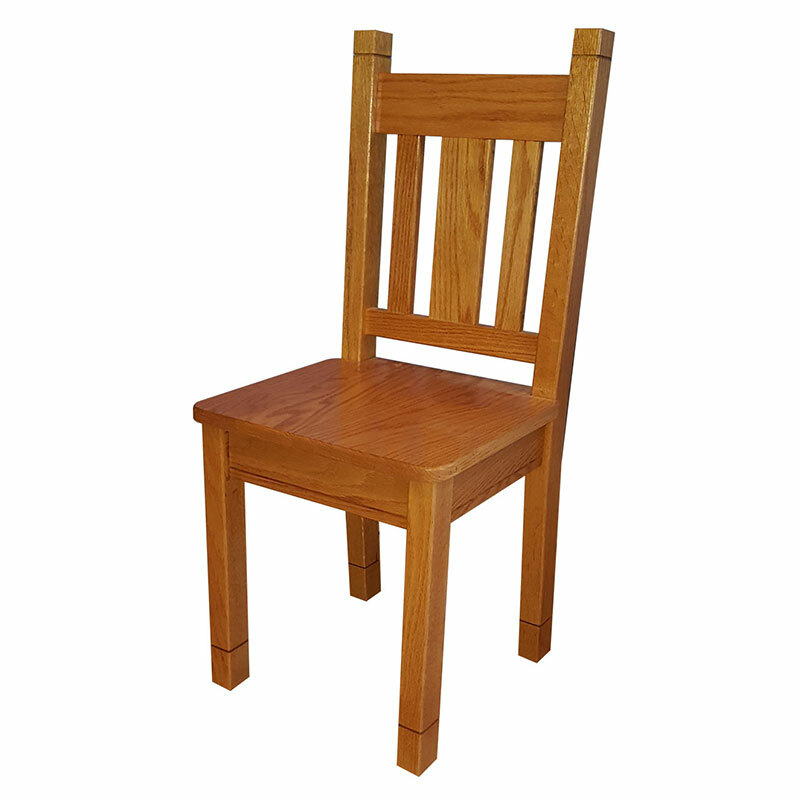 We make our Kid’s Chairs by hand, just for you, in our shop. We do not sell mass produced items or outsource our work to others. 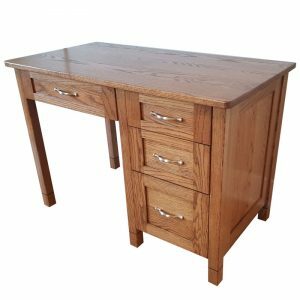 Every furniture piece we sell is hand crafted with pride and built in the U.S.A. from American hardwoods. 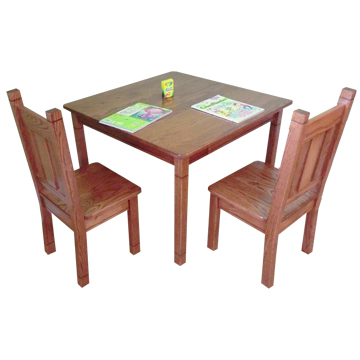 This gives our furniture great strength, beauty and durability. 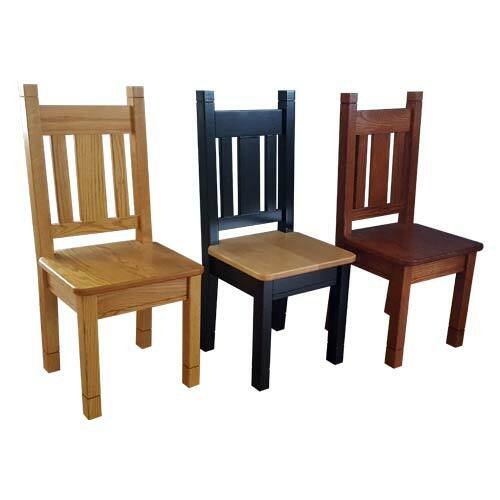 We offer our chairs in Alder, Cherry, Hickory, Maple, Red Oak and White Oak as well as painted finishes. If you choose the paint option, your chair will be painted while the seat of the chair will be made from either clear finished Maple or Oak. 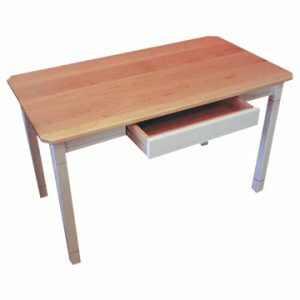 This will give a seat that is more durable than a painted finish alone will be. 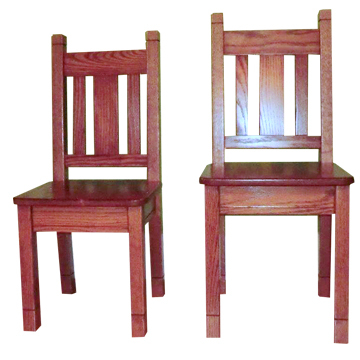 We offer our Mission inspired FLEX Kids Chairs in two different sizes. 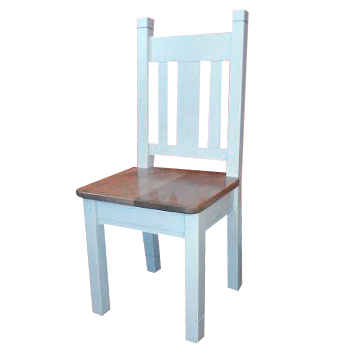 The larger chair is slightly bigger and has seat height that starts at 15” and with the Flex extension goes to a height of 17 ½.” The seat dimensions are 15” by 15”. 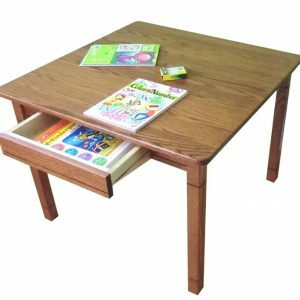 This chair would work well with the table in its highest height of 26” – 29.” Typically, this chair would fit a child approximately 8 years old to 14 years old plus. Children come in different sizes and shapes, so you must decide which option will work best for your child. These are just guidelines.